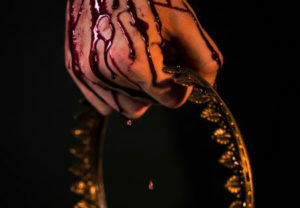 Henry V | Blakyak Community Theatre co.
William Shakespeare’s Henry V is the story of King Henry V of England, focusing on events immediately before and after the Battle of Agincourt (1415) during the Hundred Years’ War. At the dawning of King Henry V’s reign, power and morality collide amid plots of intrigue, duplicity and a perilous turn to France. Outnumbered five to one, the English army faces the Battle of Agincourt, roused from their fears by the lyrical eloquence and raw power of Henry’s St Crispin’s Day Speech. The play is the final part of a tetralogy, preceded by Richard II, Henry IV, Part 1, and Henry IV, Part 2. The original audiences would thus have already been familiar with the title character, who was depicted in the Henry IV plays as a wild, undisciplined young man. In Henry V, the young prince has matured. He embarks on an expedition to France and, his army badly outnumbered, defeats the French at Agincourt. This fresh take on Shakespeare’s history play will bring the action of the play right into the audience’s laps. It will be presented in the round bringing the action of the play closer to the audience and placing it amongst them, rather than being safely tucked away on a stage. Some of the scenes will even involve audience members in the action. Performing at Shenton Park Community Centre.